Source: Our Three Brothers on Facebook. The violent murders of three young African men last Wednesday in Fort Wayne, Indiana have prompted accusations from family members that both national media outlets and American Muslim organizations are ignoring the murders because of the victims’ origins, prompting the #OurThreeBrothers social media campaign. “They are not promoting it as much because they were of African descent,” Ibrahim Dahab, a cousin to two of the victims tells Okayafrica. The three victims, members of a predominantly Muslim community from Africa's eastern Sahel region, were found with multiple gunshot wounds. 23-year-old Mohamedtaha Omar, 20-year old Adam Mekki and 17-year-old Muhannad Tairab were shot "execution-style" inside a building which police dubbed as a "party house." Although the house was under surveillance by police for gang and violent crimes, Fort Wayne Police Chief Garry Hamilton ruled that the victims were not a part of any gang affiliations. Two of the young men’s funerals were held over the weekend. “There is definitely a reason why my cousins and friend are not getting as much media coverage, and it is because they were black,” Dahab says, in an exclusive interview. “There is discrimination in the Islamic community on who is really a legitimate Muslim and there is a belief that if you are not from the Middle East, you are not as Islamic as someone from Saudi Arabia for example,” he continues. According to The Washington Post, the city’s public safety director told investigators they do not believe that the triple-murders were motivated by the victims’ religious beliefs or are that of a hate crime. Indiana Governor Mike Pence has yet to make any comment on the murders. Hundreds have flocked to social media to address the lack of media coverage on the death of the young men. While reports emerged that all the victims were Muslim, Motasim Adam, the founder and president of Darfur People’s Association, told the Associated Press that Omar and Tairab were Muslim and Mekki was Christian. Outraged by the lack of transparency on their deaths, people took to Twitter using the hashtags #OurThreeBoys and #OurThreeBrothers, interchangeably. 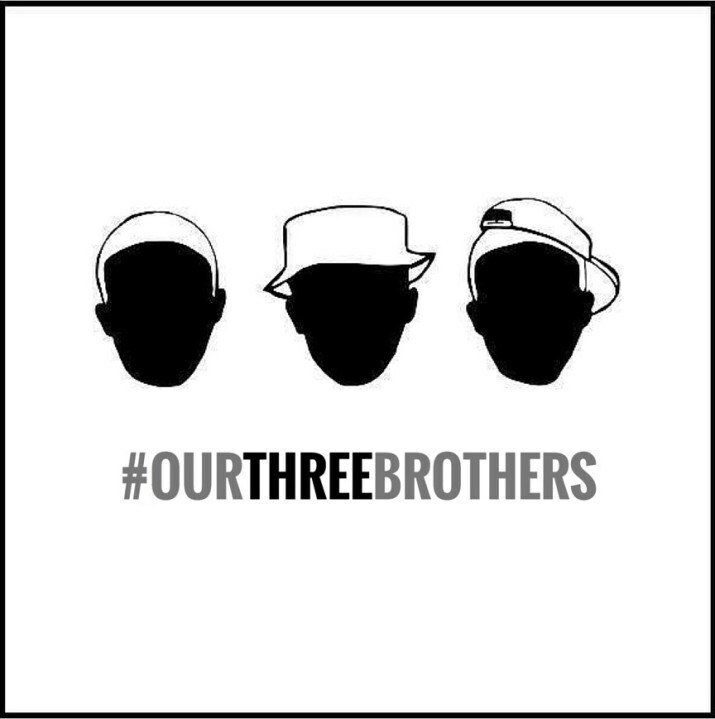 Now, the hashtag that is being used is #OurThreeBrothers. The hashtags are a take on #OurThreeWinners — a campaign that led after the tragic shooting deaths of three Muslim students, Deah Shaddy Barakat, Yusor Muhammad Abu-Salha, and Razan Muhammad Abu-Salh in Chapel Hill, North Carolina last year. In February 2015, Craig Hick shot the three students after supposedly a long-running dispute about parking, but his Facebook posts on the condemnation of religion suggested otherwise. Thousands used the #OurThreeWinners hashtag all over the world to call out the heavy anti-Muslim and Islamophobic sentiments looming in America and beyond. However, with the recent case in Indiana, many are questioning why both Muslims and the media are not rallying behind the tragic shootings of Omar, Mekki and Tairab, just as they did with the unfortunate events at Chapel Hill. According to the New York Times, the first Darfurian families to come to Fort Wayne, Indiana was in the late 1990s; by-passing the urban-city life for more of the rural atmosphere in hopes to garner industrial jobs. However, since the Darfur genocide in western Sudan — which started in early 2003 and is still ongoing — it has been reported that several hundred thousands of Sudanese have died and that some 3 million have been internally displaced or are refugees. Fleeing from the violence and seeking to start a new life, many Sudanese people came to Fort Wayne, increasing the already sizeable Sudanese immigrant community that resides there. “We all came here to find peace and security…we’re from war zones,” said Abdelaziz Hassab, who is a relative of Omar and Tarib, in an interview with WANE-TV. While common misinterpretations of cultural values and norms have persisted between the Sudanese community and other Fort Wayne residents, for the most part, community relations have been fairly peaceful — until the shooting deaths of Omar, Mekki and Tairab last week. Vigils were held for the Sudanese men, with participants raising #BlackLivesMatter signs as a means to show solidarity with the movement. Speaking on how Omar, Tarib and Mekki were kind-hearted, pillars in the Fort Wayne community, Dahab also highlighted how the murders of his cousins and friend are unifying people all over the world. “It is a unifying issue and it is opening people’s minds on what is really going on with our youth,” he said. Calling for a comprehensive police investigation and concrete answers about their deaths, many took to Twitter to commemorate their legacies and call to actions for the Fort Wayne police to bring full transparency on the murders. A Facebook page was created to honor and remember the three young men. An online petition also came about to demand for justice and accountability. Muslims are only newsworthy when villains. Not victims.